Martijn Duynstee joined as Mash’n Learn CEO & Co-Founder. After managing for years PFSweb Europe and with a exciting experience as Head of Business Development at DynaCommerce, Martijn Duynstee decided to use his experience in omnichannel commerce to help Mash’n Learn in its growth. 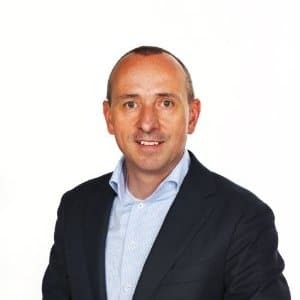 Martijn Duynstee is passionate people manager who has an energetic, natural and open leadership style with more than 17 years of (inter) national (executive) management experience. His communication style is direct, honest and professional. Integrity and respect are for me key values. He’s pragmatic, realistic, move quickly to implement decisions, organize projects and people to get things don. He’s focused on getting results in the most efficient way possible and he can be detail oriented. Martijn’s key skills and expertise: Team Leadership, Contract Negotiation, End-to-End e- Commerce, e-Business, Omnichannel, Distribution & Logistics, Assertiveness, Leadership Development, Key Account Management, Business Development, Budget & P&L Management, Project Management, Customer Service & Care, Networking and Execution. Until the page is tagged as optimized with MOZ, our bot is rewriting and fixing paragraphs, headers, texts and alternate descriptions. Most of our clients product descriptions are reaching 100% on MOZ and the Yoast green light (especially if done with WooCommerce). This entry was posted in News, Team and tagged Martijn Duynstee.